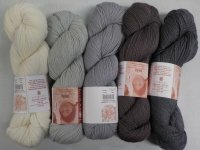 This 50/50 wool and alpaca blend yarn has a lovely tight pearly twist and a gorgeous drape. 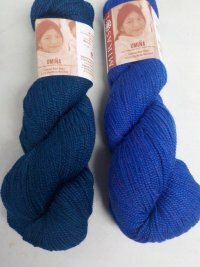 The 50% wool gives the yarn more elasticity and structure than a 100% alpaca, suiting it well to sweaters, hats, gloves and mittens. 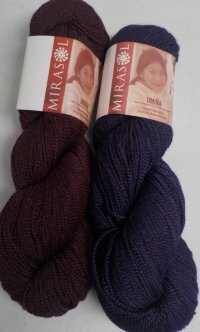 Yet the alpaca gives it softness and lovely drape so it would be equally appropriate for shawls/wraps and cowls. And of course, alpaca makes it warmer too. In a vibrant palette that will keep the sometimes "gloomy" overcast weather of a northern winter from getting even those with seasonal affect down! 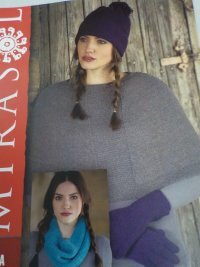 This single leaflet shown offers a hat, cowl, goves and a wrap pattern - all in one! 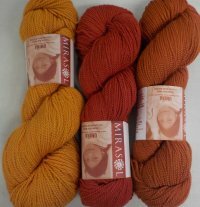 It takes just 1 skein for the mittens and hat; 2 for the cowl and 3 for the capelet/wrap. 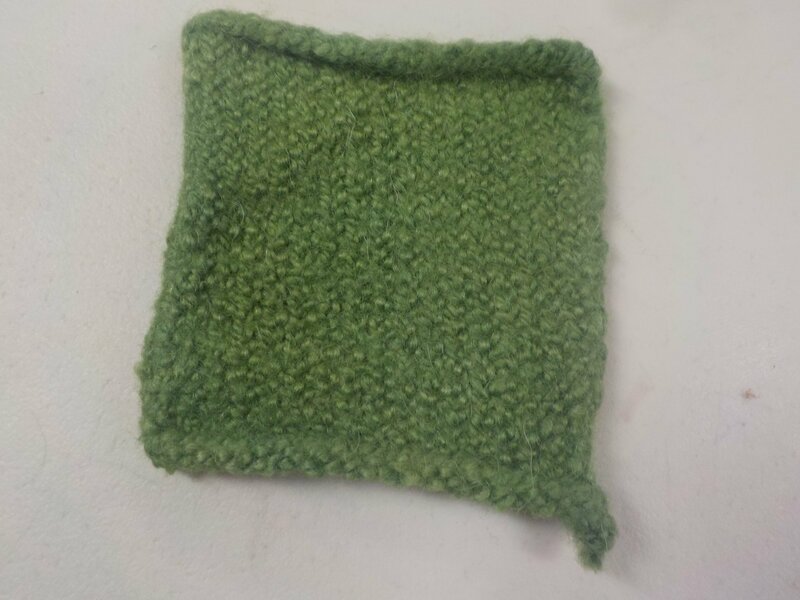 Joany felted a swatch and Umina when felted still has a memory/easticity that usually felted fabric loses. So I can imagine that this would make a lovely felted mitten - giving your hands the ability to bend in all the ways active hands need to and yet very warm and soft.